The small dimensions are balanced by the carefully studied spaces, which ensure exceptional comfort during work. 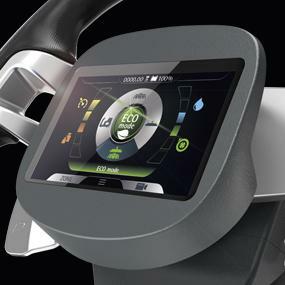 Its design facilitates every movement, while intelligent technology makes using the functions so user-friendly that it seems natural. 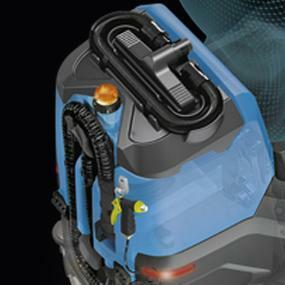 It is the product of an extraordinary study that has enabled the same features and options present on larger models to be integrated in such a small model, creating a scrubbing machine that is a little powerhouse. BMg is available with 1 or 2 disc brushes, or with orbital brush head, with a rectangular pad. All models can be configured in Pro or Plus versions. It is suitable for cleaning cluttered environments, supermarkets, schools, warehouses and laboratories. adapting to the operator and guaranteeing visibility and safety during any maneuver and even in tight spaces. The polyethylene structure leaves no part exposed and protects all the components inside. The squeegee and the support are made from aluminum, a material that increases reliability over time and offers resistance to impacts, making the machine suitable for use in any environment. The optional accessories are always within reach, stored in special compartments designed to not interfere with the design of the machine and to respect its dimensions. The low footboard makes it easy to climb on and off from both sides and enhances the feeling of comfort when driving without any effort. The low center of gravity ensures stability and safety during transfer, in bends and when going over ramps. 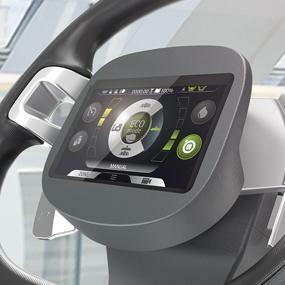 The controls on the sides of the steering wheel help the operator to maintain concentration on the working area, without danger of distractions. 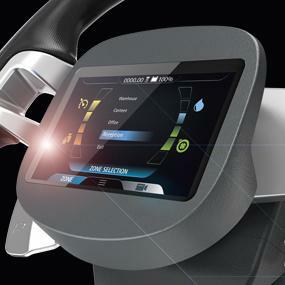 The left lever manages the pressure on the brushes, while the one on the right activates the reverse function, which can be easily monitored from the display. 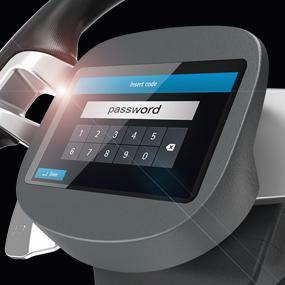 With BMg you can save the time dedicated to training: when the operator needs instructions, he or she can watch the tutorials directly on the display of the machine. 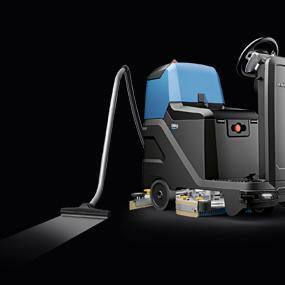 Equipped with a powerful 3-stage vacuum motor, the wand enables the collection of dirt deposited in areas difficult to be reached with the machine. In cases of stubborn dirt, it can be dampened with the spray gun. With any active working program, the Power Mode function enables the scrubbing power to be increased for a short time interval, and when this has passed, the machine returns to the previous configuration. This is useful when during the normal cleaning routine, the machine comes across small areas of dirt meet that need a more intense scrubbing action. 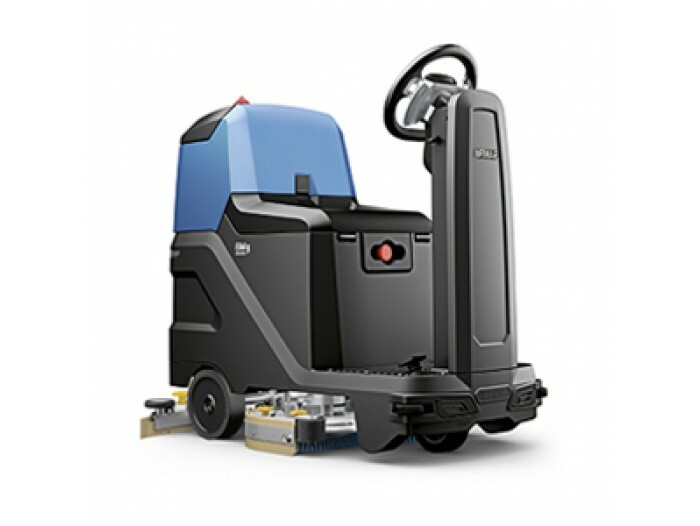 The 4 km/h working speed guarantees fast cleaning operations, while when in transfer, the machine saves time because it moves at over 5 km/h, and it is not necessary to get off when changing rooms, going through doors or getting into an elevator. The V-shaped side splash guards keep the water inside the brush area and in line with the path of the squeegee, which can then collect it completely. This enables excellent drying quality to be achieved, without leaving traces of water and with no need to pass over an area twice, even when the turning circle is limited. vides the information in a clear and simple manner. This also improves the professionalism and quality of the cleaning operation. Fimap has developed a series of solutions that act on the consumption of water, detergent and energy, to get the most out of the resources used and avoid waste. These technologies increase the efficiency of operations, respect the environment and reduce the cost of cleaning per sq.m. Every sector has its own requirements, BMg can satisfy them all! Choose your own BMg: with 1 or 2 disc brushes, with cylindrical brush head or in the orbital version with rectangular pad. All models are available with Pro or Plus configurations. 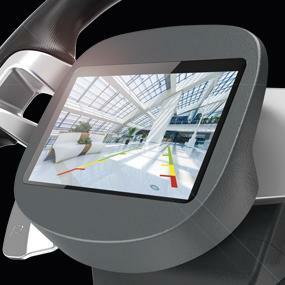 Choose the right extras to fit out your BMg with the features you need more.